So many of us in the past few years have moved to high deductible health insurance plans. For my family of 7 it’s the only affordable option. A true high deductible plan (meaning you have to pay everything until you reach the deductible) has one large perk that many people over look. You may find that you actually want to pick a high deductible plan after considering this. Before I go further keep in mind that many high deductible plans still have the same “Max out of pocket” amounts as traditional co-pay plans. However most traditional plans do not count doctor visit co-pay or medicine co-pay amounts towards the max out of pocket. So if your plan has $6500 as your max, you could end up paying around $7000+ once you factor in all the co-pays for each visit and medication! For folks on a high deductible plan, every dollar you pay applies (even medicine) to the deductible, and once the deductible is met they pay everything. Paying less each month and paying less total out of pocket already gives a high deductible plan two gold stars in my book. There is another reason though that sold me on this plan, Health Saving Accounts. With any true high deductible plan that has a deductible of at least $1,300 for singles or $2,600 for families you are eligible to open a Health Savings Account. Many people get them confused with Flexible Spending Accounts, and that is a horrible mistake. That makes your accountant cry (or turbo tax if it knew how to cry for you). Health Savings Accounts are a magical world of tax freeness that anyone eligible should take advantage of. You can put up to $6,750 a year (or $3350 for singles) into a HSA and all the money goes in tax free. Meaning the IRS looks at it as if you made $6,750 less than you really did. This lowers your federal tax levels and also you don’t pay Medicare and Social Security tax on contributions. Total that is around a 20% in tax savings for most tax payers. As long as you use the money to pay for health care needs it will always be tax free, even on the interest the account earns. No other investment account is like this! Retirement plans are either tax free when you put the money in or when you take it out, but not both. 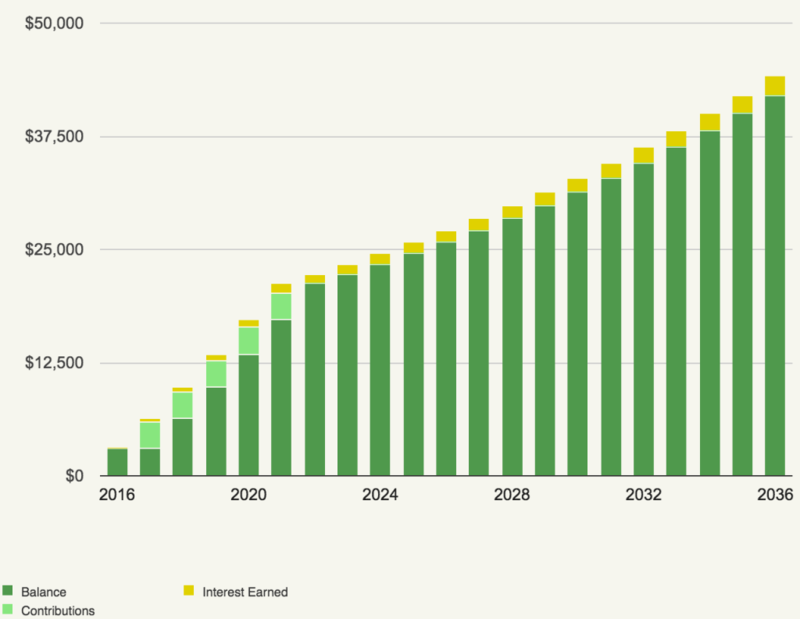 You can put your money in and use it the same year to pay deductibles and other needs, and you’ve already saved the amount of your tax bracket just by “funneling” it through your Health Saving Account (very mafia sounding I know). The better financial option (if you can afford it) is to use your Health Saving Account as a long term savings account though. The money you put in can sit in an HSA account for as long as you want, you don’t have to use it this year or next year. You don’t even have to keep the health insurance plan you have, they won’t take your money from you. You can invest the money in mutual funds, earning a good 7-10% interest every year… As long as you eventually use it for health care needs that money still comes out tax free. Humor me for a moment and let’s pretend you put $3,000 in an HSA account this year that is invested in mutual funds earning a very basic 5% APR. You invest this for 8 years and then switch insurance plans and never invest another dollar. In 20 years you’ll have $44,145 in the account. You only put in $18,000 of that. The other $26,145 is your earnings, tax free earnings… Save this for when you are older and you’ve funded your own long term care. In 10 more years (30 years total) you’ve got $82,000 in the account! These are very conservative numbers since you could invest up to $6,750 if you are married and earn higher interest as well. I doubt that most of us have $6,750 lying around waiting to be put into an account. Don’t let that thought stop you. Lets start small. 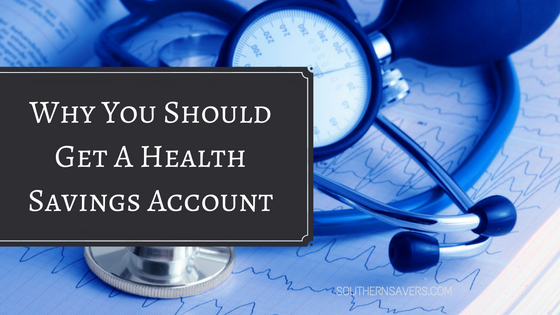 Open a Health Savings Account account either at a local bank or online. Most have no fees to open them and no maintenance fees either. We went with Health Equity online because they allow mutual fund investing (most local banks don’t). Start by just putting in what you think you’ll use this year. Look at how much you spent last year on medical needs and divide that by 12. Then go ahead and save that monthly amount working towards that annual need. At the end of the year if you didn’t need everything you put in, then you are officially started towards long term planning. Save what you didn’t use this year and keep adding next year just as you did. Little by little your account will grow! If you have a high deductible health insurance plan as of December 1st of this year you can contribute to an HSA right now. You actually have until April 15th to contribute for 2016, so you could play catch up if you wanted and put some money in now towards this years taxes and then still put money in next year. Don’t let the $6,750 sound so big that you don’t start saving anything. Focus on what you can put in, and you’ll still reap the rewards of saving. No matter what, every dollar you put in will save you an easy 15-20% in taxes but for some of you (all my fellow self employed folks especially) it could be saving upwards of 40% in taxes on the money saved! !